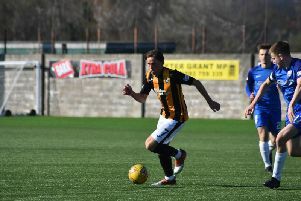 Glenrothes Juniors have announced that player-manager Willie Campbell has resigned from the club. The news comes following Glenrothes' 2-0 win over Tayport at the weekend, which moved them to ninth in the East Superleague. Campbell said on Twitter: "Just like to thank everyone at the club for giving me the opportunity to manage the Glens. Great bunch of lads with real potential. Enjoyed my time at the club and wish them all the best for the future." Campbell became player-manager in March 2017 after John Martin's departure and guided the club to safety in the East Premier League where they finished 11th. In his second season in charge at the Warout Stadium they improved on that placing, finishing ninth. Glenrothes tweeted: "The club have today reluctantly accepted the resignation of manager Willie Campbell. The club would like to thank Willie for his contribution during his duration at the club. The club will now commence the search for a new manager. Glenrothes are away to Carnoustie Panmure this Saturday. More in this week's Gazette.